This got me thinking. Yeah, Hellfire is awesome but it could use a few cats. 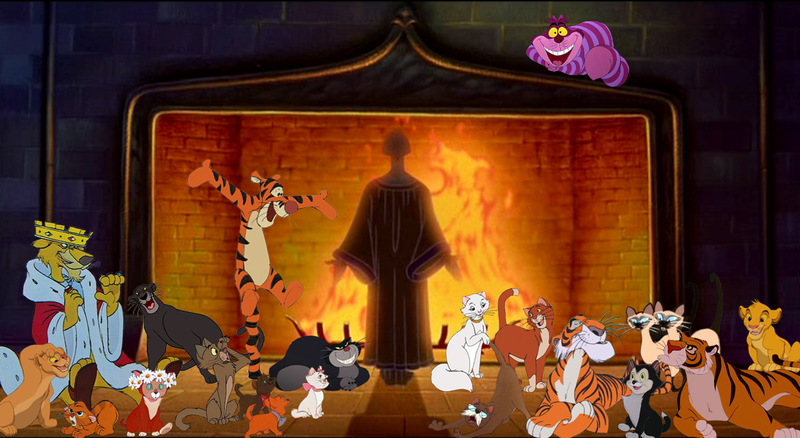 Y’know, in the novel Frollo makes ONE reference to having a cat. He’s trying to hide Jehan, and he blames some noise Jehan makes on his cat. But it’s unclear whether the cat actually exists or if he’s just making it up. Glad you like it ^_^. I always thought that line in the book was him making it up. But who knows, maybe he did have a cat.